Four soldiers were yesterday feared drowned when their gunboat capsized on Brass waterways, Brass Local Government Area, Bayelsa State about 10a.m. Eight others were injured. The accident is a major calamity for the ongoing military exercise in the Niger Delta, “Operation Crocodile Smile”. The Niger Delta operation, which is being coordinated by the 2 Brigade, Port Harcourt, Rivers State, was designed by the military to equip the amphibious and internal security operations in the riverine areas against militants. The cause of the accident was not disclosed. Some sources blamed it on technical problems arising from overloading. Others said turbulence caused by massive movements of bigger boats capsized the ill-fated gunboat. A military officer who confirmed the development said eight soldiers were rescued and the boat recovered. The source, who pleaded not to be named because he is not permitted to speak on the matter, said divers from Brass community assisted soldiers in the rescue operation. “It was an unfortunate incident. 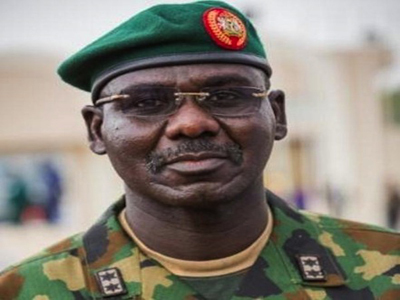 The gunboat was involved in the Operation Crocodile Smile. It suddenly capsized. Eight of the soldiers were rescued by divers from the community and soldiers. “Four others have been declared missing. We cannot say that they are dead until their bodies are recovered. Efforts are being made to find them,” he said. The soldiers’ rifles and ammunition are said to be missing in the incident. An indigene of Brass, who also spoke in confidence, said the community’s youths helped the soldiers to search for the missing soldiers. He said: “In recent times, we have been noticing increased movement of soldiers to our area. The boat that capsized was conveying a new batch of soldiers to the water front. “I was going to dispose of refuse at the waterfront and I saw uniformed soldiers struggling to rescue their colleagues in a capsized boat. It was gathered that at 2pm, soldiers sought the help of local divers and youths to assist in the search for their colleagues. But the high tide of the water was said to have impeded the operation. The State Chairman of the Maritime Workers Union (MWU), Mr. Lloyd Sese confirmed the incident, but denied knowing the casualty figure. There have been massive movements of troops and military hardwares into the creeks of Bayelsa State since Friday. Soldiers were reportedly conveyed in tens of trucks through the upland of Nembe and Ogbia local government areas to jetties where gunboats and other military marine crafts took them to coastal communities and creeks. The battle-ready soldiers were said to have taken over the creeks. An Ijaw chief from Nembe, Wilfred Ogbotobo, told The Nation that he saw many trucks conveying soldiers through the newly-completed Ogbia-Nembe road to his community. He said the soldiers were civil and professional in their conduct, adding that their heavy presence had restored confidence in the region. He commiserated with the military for its loss at Brass, but appealed to the Federal Government not to relax the operation. He said: “We commiserate with the Nigerian Army over the sad incident that occurred near Brass.We nevertheless encourage the Army to neither relent nor abort this most welcomed operation to restore law and order, and make the Niger Delta a hub for investments.